First, you download Grid Gallery Premium plugin. upload Grid Gallery Premium zip file of the plugin by clicking the Browse button. 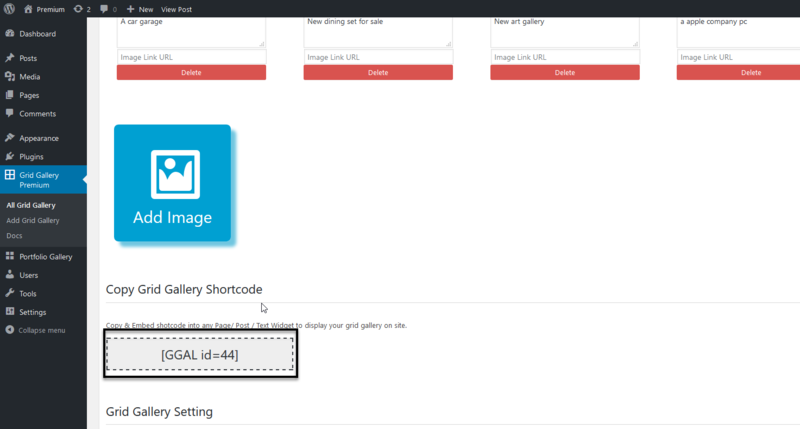 after upload Grid Gallery Premium plugin, click on Install now button. 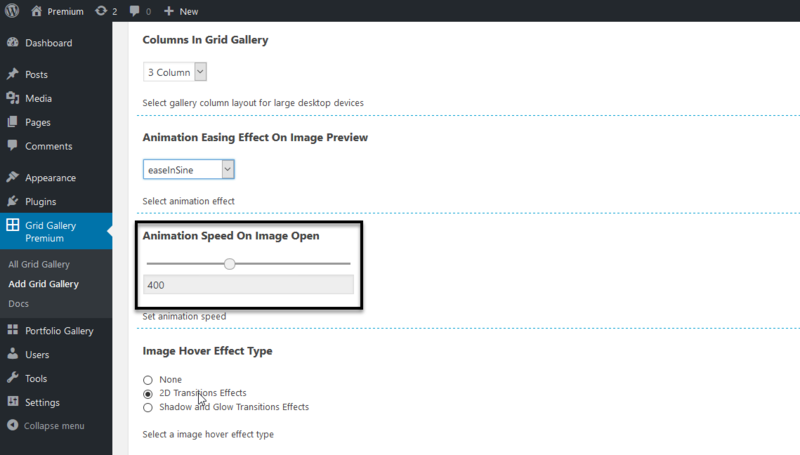 And activate the Grid Gallery Premium plugin. 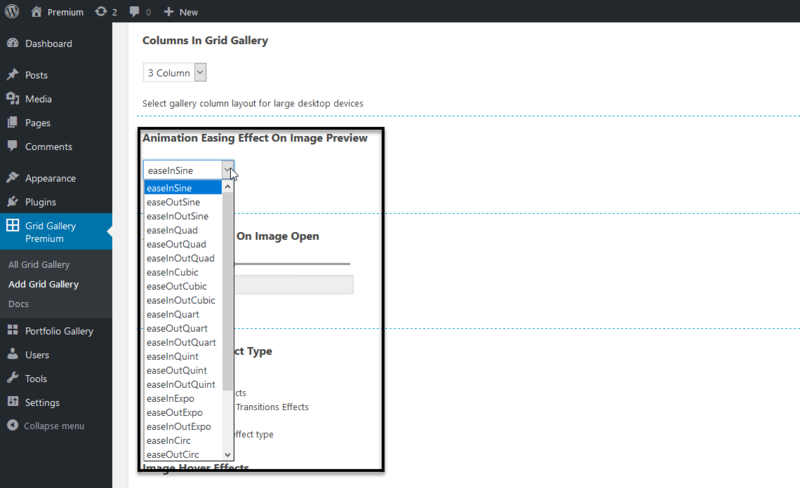 For create gallery click on Grid Gallery Premium in the admin menu bar. Then click on Add Grid Gallery. 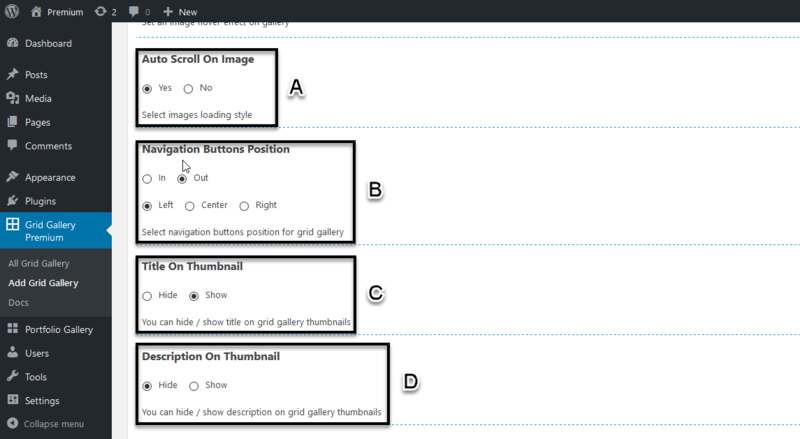 Then type your Grid Gallery title in the text box. 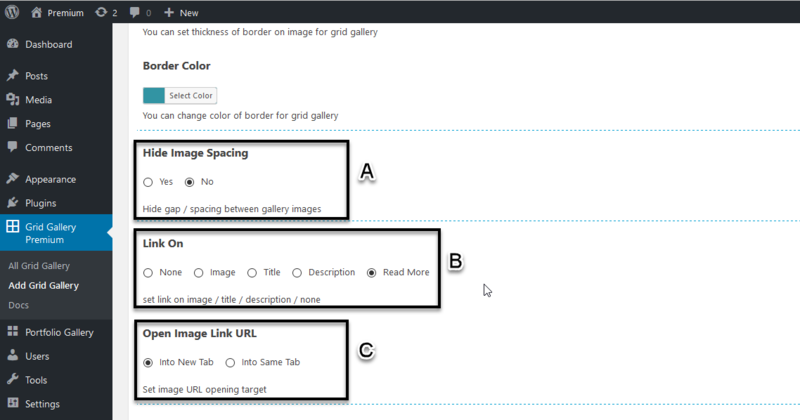 Now you need to add images in Grid Gallery Premium click on Add image box. Click on images to upload. If you want to upload multiple images in same time press (Ctrl) key from the keyboard and select images. Then click on Select button. Now you have successfully added images. You can describe your images. A. Image name. B. Image Description. C. If you want to add the link to the image. D. If you want to remove image then press the delete button. E. For Publish Gallery. 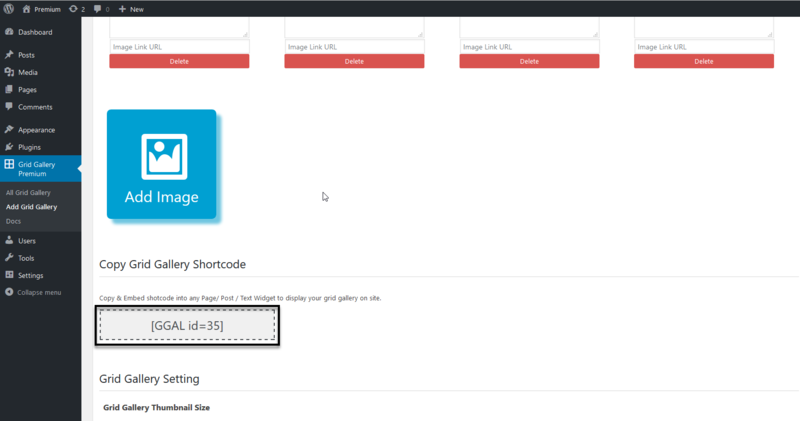 Now copy the shortcode and paste where you want to show the grid gallery any Page or post. 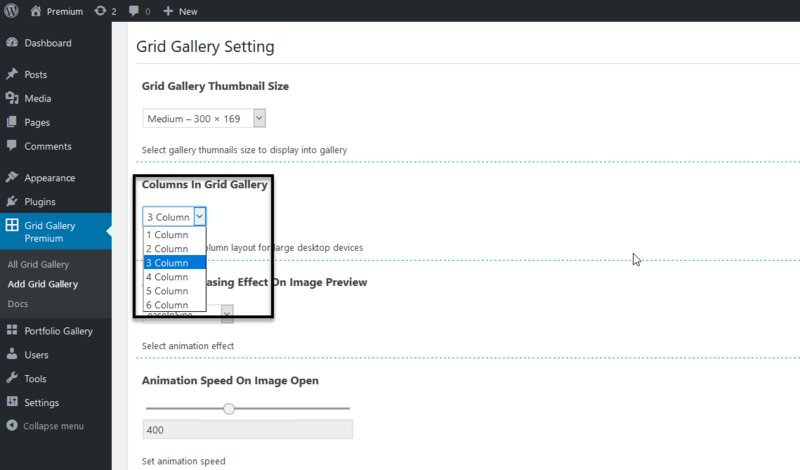 Select gallery thumbnails size to display in your gallery. Select gallery column layout for grid gallery. Select Animation Easing Effect for grid gallery. Set Animation Speed for animation easing effect. Set Hover Effect Type & a Hover Effect for grid gallery. A. Set Auto Scroll on the image ( Yes / No ). B. 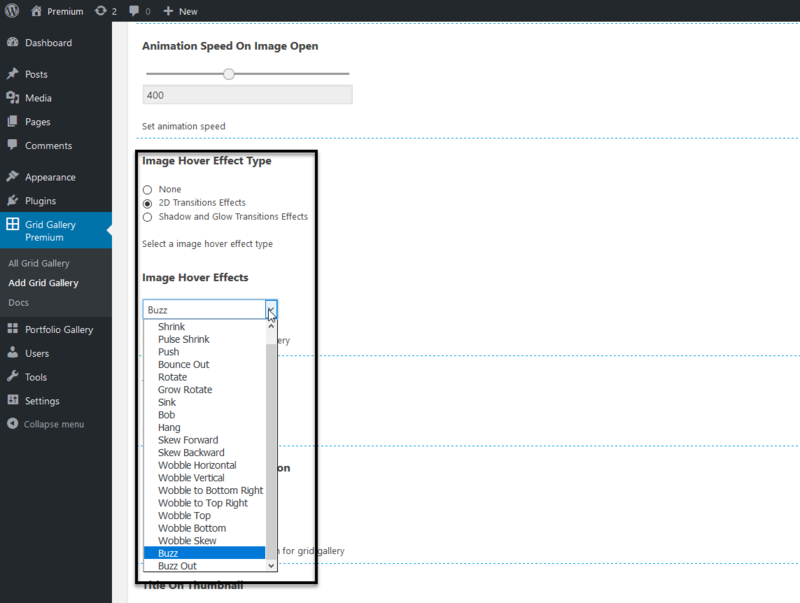 Set Navigation Buttons Position ( In / Out ) of image and ( Left / Center / Righr ). C. Set Title On Image Thumbnail ( Hide / Show ). D. Set Description On Image Thumbnail ( Hide / Show ). A. Set Title On Image When Image open ( Hide / Show ). B. Set latter Size of Title in pixels, Like ( 22 / 24 / 28 ). 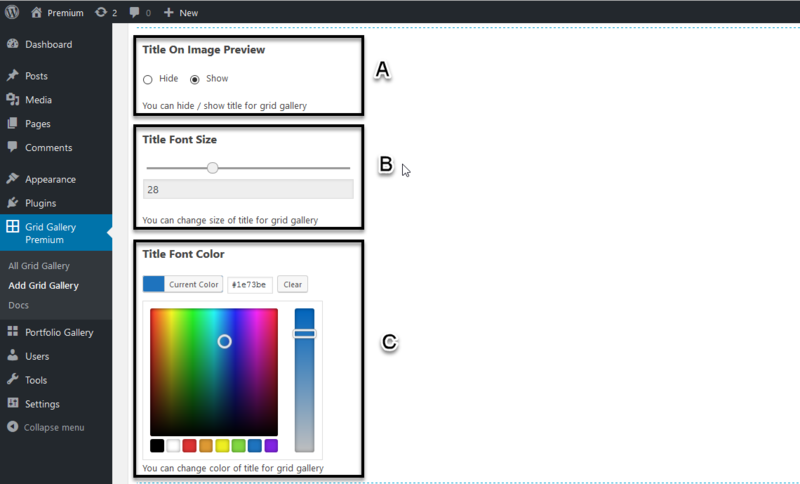 C. Set Title color for image preview. A. Set Description On Image When Image open ( Hide / Show ). B. Set latter Size of Description in pixels, Like ( 18 / 24 / 28 ). C. Set Description color for image preview. A. 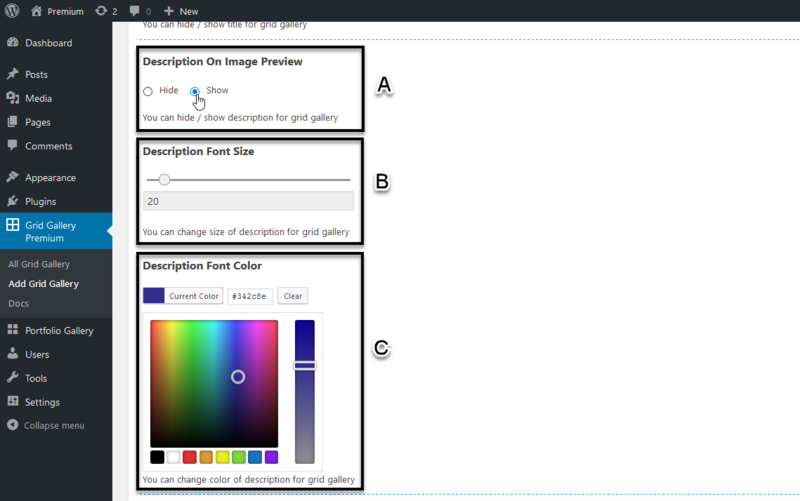 Set Title & Description Position ( Top / Bottom ) in image and ( Left / Center / Righr ). B. Set Thumbnail border On Image ( Hide / Show ). A. Set Custom Border On Image ( Hide / Show ). B. Set Border Thickness in pixels, Like ( 5 / 10 / 20 ). A. Set Hide Image Spacing ( Yes / No ). B. Set Link On ( None / Image / Title / Description ). C. Set Open Image Link ( Into New Tab / Into the Same Tab). Copy Grid Gallery Shortcode from the Grid Gallery Settings page. Click on any post where you want add Grid Gallery. A. Paste the shortcode in the body.